In Episode 42 of the Defining Success Podcast, Rick Mulready shares his thoughts and ideas on social media for small and medium-sized businesses. During our conversation we discuss the pros and cons of engagement and automation. We also discuss the power of social media and how building genuine, authentic relationships can help grow any business. Rick Mulready is the host of the Inside Social Media Podcast. His podcast is a place to learn secrets, insights and strategies from heads of social media for some of the most powerful brands in the world. 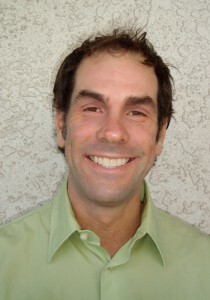 Rick has been in the Internet marketing world for 12 years. He spent 5 years at AOL in Virginia. He moved to the West Coast after that and spent 2 years at Yahoo as an advertiser. After Yahoo, he went to Vibrant Media and then he went to Funny or Die and went back to Vibrant. While Rick was at Funny or Die, he saw that there was a minimum spend that people had to invest in order to advertise, but it left a lot of small businesses out. At that time Rick saw Facebook starting to grow and he began to see the opportunities that small business could have in Facebook. He jumped into Facebook advertising and taught himself everything he could about it. During a flight, Rick was listening to a podcast with Gary Vaynerchuk who recommended two publications, Advertising Age, so you can get the big brand perspective and TechMe.com so you can get the perspective of what’s going on in the tech world. Rick then saw that there was an opportunity to reach out to big brand companies and help share what big brands were doing in social media with small businesses. The whole purpose of Rick’s podcast comes from a Tony Robbins quote where he finds someone who’s doing something successful and then copy what they’re doing. Rick has been able to show his listeners what big brands are doing and how they can apply that to their small business. Rick built up a large safety net, and had a lot of planning. The job that Rick was doing paid really well, but he wasn’t happy, so he saved up a lot of money and made the jump to running the podcast. He is working with clients showing them how they can achieve their business goals through social media. As an advertiser, Rick didn’t like the way the advertising industry was set up because no matter how hard you worked you always were striving to meet new goals which Rick found very taxing. Rick loves Twitter because it allows Rick to have quick conversations with people he wants to have conversations with. It also allows Rick to listen to conversations that are going on in the social media world where he can jump in, engage and add value wherever he can. Rick does enjoy Facebook advertising more than he loves Facebook itself. Too many people don’t understand Facebook advertising and there is a great opportunity to reach out to highly targeted customers if you can understand and grasp how Facebook advertising works. A common mistake many people make in social media is that they go out there and they start yelling. Another common mistake is that people spread themselves too thin, get overwhelmed and then say social media doesn’t work. Rick recommends finding one or two platforms that you love using and then stick with those and really dive in and engage deeply. If you can do that you’ll soon see immense benefits in your business. Rick says that some businesses may not even need social media and it may not be the best platform for them to get their business goals. He recommends that businesses first establish goals and then determining the best course of action to reach their goals. The explanation starts with what is your goal and then work backwards. There are two trends that are really important. Listening and engaging with you customers and using social media as an opportunity to serve your customers. A lot of brands get it really well and many do not. Rick says that in the future, location based social media marketing will take place, meaning that when you arrive at a destination, deals and discounts will be sent to people’s smart phones in an attempt to drive business. Another trends that Rick sees is these short videos which can be used to tell a story for a business. Rick says that the people who are automating their message are missing the point of social media. One of the big problems people who jump onto social media face is dealing with automation vs. engagement. The point of social media is to develop genuine relationships designed to lead to sales, and not to continually blast your sales message. People do business with people they know, like and trust. Show them they can know, like and trust you by authentically engaging with them. When working with a business, Rick starts to figure out their goals and if social media can help them achieve their goals, you have to know what social media platform would be the best for them. Learn your target market, figure out their goal and then learn how to be there. The podcast has been working very well for Rick Mulready and the podcast was something he never thought he would be doing. He’s always loved interviewing people and he still doesn’t know much about it, but a lot of people pushed him to start it. And Rick understands that the podcast is a great way to connect with people. The first episodes Rick launched were with the social media managers of Ford, McDonald’s and City. He loves doing interviews and gets pumped up after he has an interview with people. What do you think of Vine and Instagram videos? What is the best way to connect with potential customers on social media? This entry was posted in Episode 042: Engagement vs. 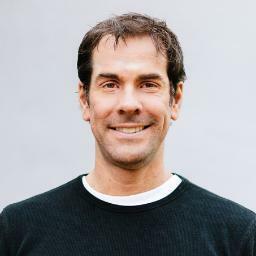 Automation | Rick Mulready from the Inside Social Media Podcast and tagged Advertising, Advertising Age, AOL, Automation, City, Defining Success Podcast, Engagement, Engagement vs. Automation, Facebook, Facebook Advertising, Ford, Funny or Die, Gary Vaynerchuk, Inside Social Media, Inside Social Media Podcast, Instagram, Instagram Videos, Internet Marketing, McDonalds, Podcast, Rick Mulready, Small Businesses, Social Media, TechMe.com, Tony Robbins, Vibrant Media, Vine, Vine Videos, West Coast, Yahoo on September 16, 2013 by Zeb Welborn.